Visit the beautiful United States Virgin Islands and explore the island of St. Croix with a timeshare resale at Hotel on the Cay. This picturesque resort sits on a private island in the Caribbean Sea, offering a one-of-a-kind vacation experience for all travelers. Ample Amenities for Fun in the Sun. Hotel on the Cay offers loads of resort amenities for your enjoyment during your stay. With its prime location on Protestant Cay, the resort is a haven for endangered wildlife including rare lizards, birds, and tropical fish. Hotel on the Cay sits on the only beach on Protestant Cay, giving prime access to sun and surf, plus a beautiful view of Christiansted. The resort boasts a swimming pool, ferry boat, on-site dining with the freshest seafood around, and a bar and lounge area –home to their famous, stiff Rum Runners. Buy these St. Croix timeshare resales and enjoy spacious units equipped with all the comforts and conveniences of a true vacation home. Enjoy a studio, one-bedroom, or Emerald Point Villa for sale on the resale market and enjoy such in-unit amenities as a full kitchen, dining area, sleeper sofa, cable TV, and private balcony or lanai. Timeshares offer full or partial ocean views with tropical furnishings and upscale accents throughout. With its beachfront location, Hotel on the Cay offers many on and off-site activities suitable for all temperaments. Those looking for thrills and adventure will love the St. Croix Watersports Center, where jet skis and kayaks are available for rent, as well as snorkel, scuba, and windsurfing equipment. Looking for a taste of St. Croix culture? Try an Island Tour where you can visit Christiansted, Frederiksted, The Cruzan Rum Distillery, Columbus Landing, and The Domino Club in the rainforest. 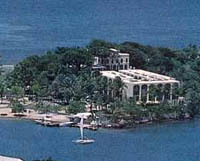 Contact Hotel on the Cay Specialist Today!